Just a few minutes from the big city, the countryside occupies a prominent position in the "Lower Laurentides" area.All at once, the landscape becomes agricultural and the air more intoxicating.It is the paradise of agrotourism.To the southwest, the Deux-Montagnes MRC, overlooked by the hills at the foot of which Lac des Deux Montagnes lies, offers water activities, heritage buildings, bike trails, agrotourism, family attractions, interpretation centers and several parks, including the Oka National Park.To the west, the MRC of Argenteuil is dotted with ancient treasures and its architectural heritage carries a rich history.The Red River exalts fans of white water activities, while in winter, cross-country ski trails charter sports enthusiasts.To the east, in the MRC Thérèse-De Blainville culture reigns with festivals, theater, music, spaces are dedicated to the open air; bike trails, Garth Island Ecological Reserve and Le Marais Bouthillier in Rosemère. Then, at the foot of the mountains, stretches the MRC of Mirabel, characterized by its vast expanses.The Bois de Belle-Rivière Regional Park and Domaine Vert Park offer a wide range of activities for families. To the east is the region of Laurentials. 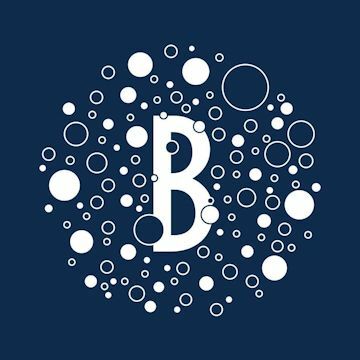 Formerly known as La Roche des Brises, the Domaine located in St-Joseph-du-Lac is transformed in 2017 to become La Bullerie, the first vineyard specializing in sparkling wines in Quebec. 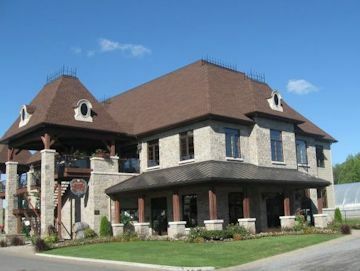 The winery began in 1993 first winery in the Montreal North Shore Area. It benefits from an exceptional micro-climate created by the mountains acting as wind breakers and the proximity of lake Deux-Montagnes. Jean-Pierre Bélisle et Gina Pratt are the owners. 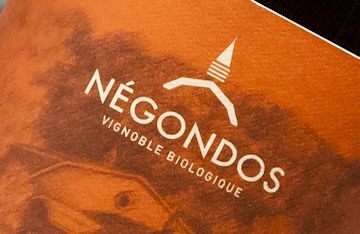 Du vin blanc au rouge, nous combinerons des méthodes de production modernes et traditionnelles afin de créer un produit unique et équilibré représentant à la perfection la richesse de nos sols. Winemaker Vincent Gagliano has always been fascinated by the richness of the land and agriculture. Having grown up in a family where wine production is an art, he learned to learn the basics from a very young age. For 9 years now, he is proud to own the Gagliano vineyard, where he bottles each of his wines with passion. La Romance du vin Vignoble was founded in April 1999. In May of the same year 6,000 vines were planted. 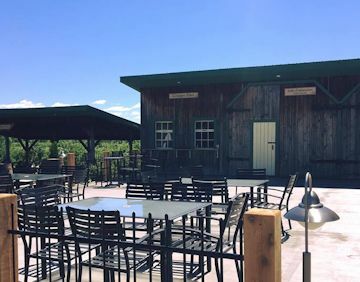 The vineyard is located near the Ontario border facing the Rigaud river near Mount Rigaud,covering approximately 60 acres sloping at about 2 degrees from the west to the east. The rather heavy soil, mainly glacial deposits called 'Till', is composed of sandy clay sediments of marine and lakeside origin. Located at only two kilometres south of lake of Two-Mountains, the vineyard profits from this vast stretch of water to moderate the ambient air temperature. Indeed, since the dominant winds coming from the west and from the north pass above that extensive length of water, they warm up by taking a little heat, one or two degrees thus avoiding the late frosts of spring in the beginning of May or the early autumnal frosts of the end of September or at the beginning of October. The season is thus lengthened, making it possible for the grapes to take a greater maturity and the wood of the vines to ripen over a longer period. According to Statistics Canada, our area profits from a period of sunshine varying from 2,900 to 3,100 Thermal Units , based on the growth of corn. The name, "Baillie" was chosen to honour a great Scottish family in Aylmer's history. Clan Baillie resided on the land where the vineyard is presently situated The vineyard was established in 199. The vineyard currently consists of more than 3500 vines (Vandal Cliche, St. Croix, Louise Swenson, Frontenac, Marechal Foch and Sabrevois). . The vineyard is set in Aylmer, Quebec, about 10 kilometers from the city of Ottawa.. 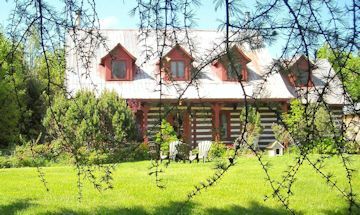 It is well-established at the foot of King (Gatineau Park) near a small lake of 15 acres. Less than 30 minutes from Montreal, on a beautiful country road, the largest vineyard in Quebec. The wine is 100% natural. Chaptalisation is made with organic sugar and we use throughout the process of the minimum dose of sulphite and develop, in this respect, for most dry products. The Angel Winds. Rocked by the angelic winds blowing on Saint-Joseph-du-Lac, our vineyard is rooted in a terroir that is most conducive to culture. We raise perfectly balanced, complex and elegant wines in the mouth, produced with our grapes harvested by hand. We are proud to offer you the authentic fruits of our passion. 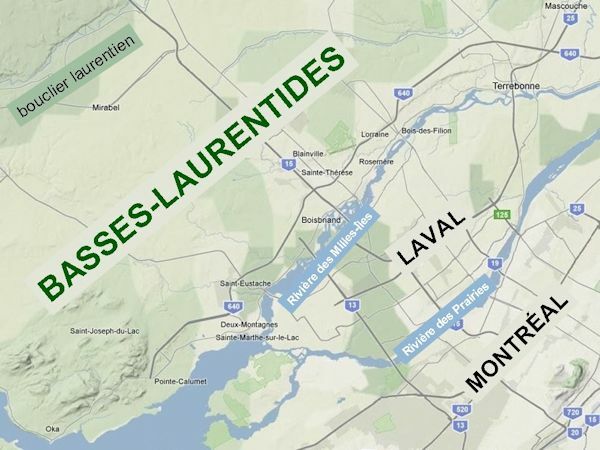 Bercé par les vents angéliques qui soufflent sur Saint-Joseph-du-Lac, notre vignoble est enraciné dans un terroir des plus propices à la culture. Nous élevons des vins à l’équilibre parfait, complexe et élégants en bouche, produits avec nos raisins vendangés à la main. Nous sommes fiers de vous proposer les fruits authentiques de notre passion. e-mail us and tell us about your winery.